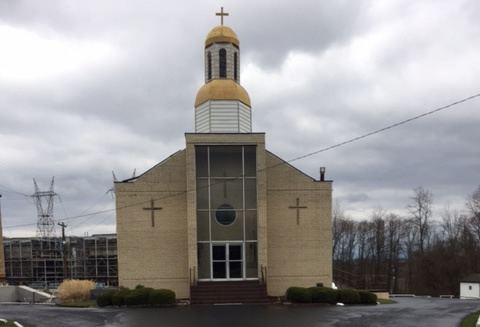 Dr. Ezekiel Olagoke, Associate Professor of Sociologyat Waynesburg University, Waynesburg, Pennsylvania has been conducting researchon the history of the St. George Serbian Orthodox Church in Carmichaels,Pennsylvania. Dr. Olagoke is a member of the St. George Serbian Orthodox Church. As part of his research, he has reviewed parish publications and hasspoken to the parish priest and parishioners. Dr. Olagoke has an in depth interest in Orthodoxy and the Serbian Orthodox Church in particular. He previously participated in an institute on Orthodoxy at Oxford and gave a presentation onSt. Gregory Palamas at an international theological conference in Thessaloniki. Dr. Olagoke has done research on the Serbian Orthodox Church at Hilandar Research Library at Ohio State University. He regularly attends the Divine services at St. George Church and has visited other OrthodoxChurches. Dr.Olagoke’s students have been to the St. George Serbian Orthodox Church as a result of his encouragement. Dr. Olagoke has participated personally in programs at St. George Church including the annual St. Sava program.